Since the hungry billion in the world community believe that we can all eat if we set our common house in order, they believe also that it is unjust that some men die because it is too much trouble to arrange for them to live. There is a consensus that radical measurs are needed to deal with world-wide growing food neeeds. These measures must be taken in a whoistic and coordinated way with actions going from the local level of the individual farmer to the national level with new government policies to the world level with better coordinated activities through the United Nations System. A central theme which citizens of the world have long stressed is that there needs to be a world food policy and that a world food policy is more than the sum of national food security programs. Food security has too often been treated as a collection of national food security initiatives. While the adoption of a national strategy to ensure food and nutrition security for all is essential, a focus on the formulation of national plans is clearly inadequate. 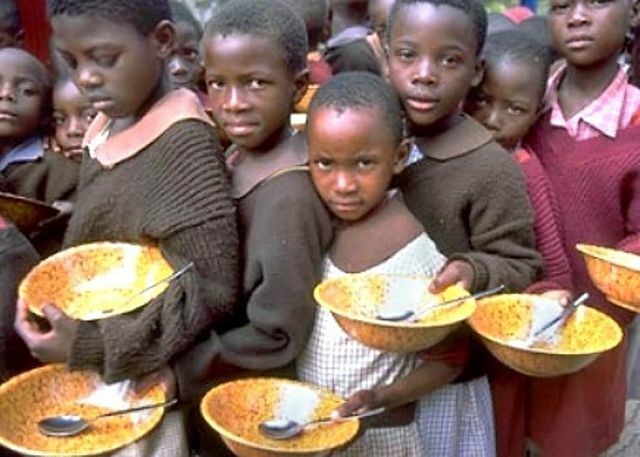 There is a need for a world plan of action with focused attention to the role which the United Nations system must play if hunger is to be sharply reduced. The FAO did encourage governments to develop national food security policies, but the lack of policies at the world level has led to the increasing control of agricultural processes by a small number of private firms driven by the desire to make money. Thus today, three firms —Monsanto, DuPont, and Syngenta — control about half of the commercial seed market worldwide. Power over soil, seeds and food sales is ever more tightly held. There needs to be detailed analysis of the role of speculation in the rise of commodity prices. There has been a merger of the former Chicago Mercantile Exchange and the Chicago Board of Trade to become the CME Group Market which deals in some 25 agricultural commodities. Banks and hedge funds, having lost money in the real estate mortgage packages of 2008 are now looking for ways to get money back. For the moment, there is no international regulation of this speculation. There needs to be an analysis of these financial flows and their impact on the price of grains. The word needs a market shaped by shared human values structured to ensure fairness and co-responsibility. There is likewise a need for a serious analysis of the growing practice of buying or renting potential farm land, especially in Africa and South America, by foreign countries, especially China and the Arab Gulf states. While putting new land under cultivation is not a bad policy in itself, we need to look at the impact of this policy on local farmers as well as on world food prices. There is a need to keep in mind local issues of food production, distribution, and food security. Attention needs to be given to cultural factors, the division of labour between women and men in agriculture and rural development, in marketing local food products, to the role of small farmers, to the role of landless agricultural labour and to land-holding patterns. Fortunately, there is a growing awareness that an integrated, wholistic approach is needed. World Citizens stress that solutions to poverty, hunger and climate change crisis require an agriculture that promotes producers’ livelihoods, knowledge, resiliency, health and equitable gender relations, while enriching the natural environment and helping balance the carbon cycle. Such an integrated approach is a fundamental aspect of the world citizen approach to a solid world food policy.